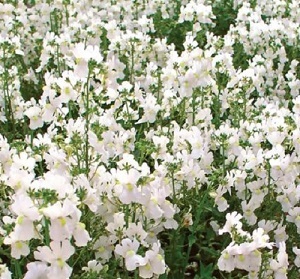 A dainty long-flowering annual from the Cape Floral Kingdom, with white flowers from June through to August. The plants grow 20-30cm in height, and the flowers cover the plant entirely when in bloom. Plants do well in cottage gardens, pots and baskets. Nemesia likes full sun or part shade and rich well drained soil. Pack of approx 500 seeds. Sow in spring for planting out after the last frost. Sowing to flowering is normally 12-16 weeks, depending on conditions. Sowing instructions and a colour photo are printed on the packet. Sow Sow in spring in a tray or cells of moist seed compost. Cover lightly with compost or vermiculite and keep at 15-20°C. Germination takes 2-4 weeks. Transplant young seedlings into small pots and then outside into the ground or into containers, after hardening off and after the last frost. Grow Pinch out the growing tips of young plants to encourage bushiness. Water plants in dry spells. 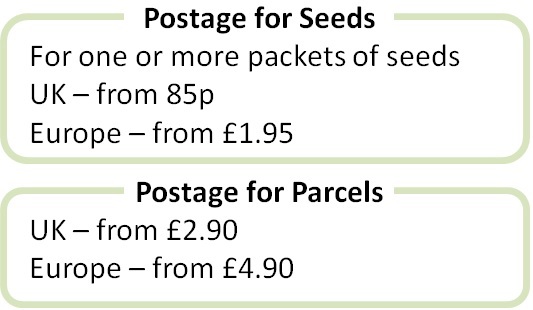 Feed fortnightly if growing in containers. Protect from greenfly. Remove plants after flowering has finished.